That’s gotta sting Sen. Ortman. Conventional wisdom said that she was the favorite for endorsement coming into this weekend’s convention but she only got 22% of the delegates. That was only good for a third place finish for the first ballot. 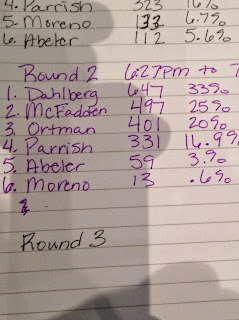 With questions being asked if Sen. Ortman parked some delegates with other candidates, it isn’t unreasonable to think that she might do better with the second ballot. This flier is a reminder to delegates that she isn’t the “conservative champion” that Sarah Palin called her. It’ll be interesting to see how this plays out. Saying that the outcome isn’t clear is understatement. 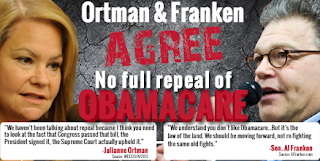 Still, Sen. Ortman can’t afford many more hits like she’s sustained thus far. Earlier Friday morning, Shinseki publicly apologized for the failures in the VA system, while stopping short of offering his resignation. However, responding to an interim inspector general report which found “systemic” problems with clinics lying about patient wait times, Shinseki said he would move to oust senior leaders at the Phoenix VA, where allegations of improper scheduling practices first surfaced. President Obama plans to meet with embattled Veterans Affairs Secretary Eric Shinseki in the Oval Office on Friday morning, amid mounting calls for his resignation. The two plan to meet at 10:15 a.m. ET. Obama, in an interview, said he plans to have a “serious conversation” with Shinseki about whether he can stay in his job. It isn’t a stretch to think we’ll get word before 11:00 am ET that Gen. Shinseki has resigned his position and that President Obama has accepted the resignation with great sorrow. The ‘Shinseki Watch’ appears to be in its final minutes. What planet was Gen. Shinseki monitoring? He couldn’t have paid attention to the VA hospitals because the evidence was abundant that the problem was widespread. UPDATE: It’s official. President Obama is announcing as I type that Gen. Shinseki has resigned. I’ll have more as the information comes in. More Democrats are calling for Gen. Shinseki’s resignation. Translation: Blah, blah…Blah, blah, blah, blah, blah. We get it. Democrats are outraged, outraged I tell you, about the VA scandal. Frankly, I don’t care that they’re expressing outrage, mostly because I’m thinking that it’s faux outrage. I don’t care that firing Gen. Shinseki won’t fix the VA’s problems, either, because that’s missing the point. The VA was a disaster before Gen. Shinseki was confirmed as the VA secretary. Gen. Shinseki must go because he’s utterly incompetent. The situation got significantly worse during his watch. Gen. Shinseki has to go because he isn’t capable of fixing the problem. Whether you’re mad as hell or whether you’re mildly upset about the VA Crisis (Yes, it’s a crisis.) or whether you’ve barely noticed it, the point is that this crisis must get fixed ASAP. That’s because it’s immoral to let another vet die because of the government’s corruption and incompetence. WILL: You solve that problem Republican in the following way. Kirsten says, look, Amtrak has trouble and so does U.S. Air. The difference is airlines, as a lot of them could tell you, go out of business. Amtrak is run by a government that prints money and therefore can never let Amtrak go out of business no matter how many billions it loses year after year after year. With the Republicans, it seems (ph), we should say is this — this weekend, Memorial Day weekend, Americans are here and there on the interstate system. When the government decided to build that, that the country needed it, it didn’t go into the highway building business. It didn’t start a federal highway construction company. It dealt with the private sector. And it got done. They can do the same thing with this. There’s no reason in the world why, if I can use this word, it’s anathema to Democrats, give people vouchers to be redeemed in our private hospital system. Gen. Shinseki is a genuine military hero. Unfortunately, he was also utterly unqualified to run the VA Department. The remedy that Will suggested just wasn’t used. It isn’t that Gen. Shinseki didn’t have the authority to send vets to private hospitals. He had that authority. He just didn’t use it. Thanks to the corruption within the VA system that’s been exposed, I’d argue that it’s time to utilize that option far more frequently. Democrats were late to this crisis. Now that they’re scrambling to look like they’re finally interested, they’re calling for Gen. Shinseki’s resignation. They’re right in that he needs to go. What’s irritating is that these senators think calling for Gen. Shinseki’s resignation will provide them with much-needed political cover. What’s disgusting is that they aren’t that interested in the solution. Maybe when we go into war, we should be thinking about its consequences and its ramifications. You would think that would be a given. But maybe, it wasn’t and so we go into a war in Iraq and Afghanistan and we leave Afghanistan for Iraq with unfinished business in Afghanistan. Ten years later, we have all these additional veterans. ‘Why have you not told this committee yet who was disciplined in Augusta, Georgia and Columbia, South Carolina, where nine veterans died because they were on a waiting list for colonoscopies?’ [Rep. Jeff] Miller asked [Mooney]. The fact that 9 vets died while waiting for colonoscopies is telling. That’s because a doctor wouldn’t order a colonoscopy to diagnose whether a vet is suffering from PTSD. What makes sense of the colonoscopies is that it sounds like the type of test that veterans from the Vietnam War or Operation Desert Storm would receive once every 5-10 years because they’re Baby Boomers. Baby Boomers require more care as they age. According to Kim Strassel of the WSJ, the vast majority of the costs for VA hospitals is for treating Baby Boomers as they get to that age when they get treated more often. It’s apparent that Ms. Pelosi’s diatribe was an attempt to deflect attention away from the VA system’s failures by talking about Iraq and Afghanistan. That’s intentional misdirection and it’s shameful. What’s missing? Accountability. There isn’t one word of explanation about what Shinseki has done over the last five and a half years since taking over the Department of Veteran Affairs to prevent this kind of systemic fraud and widespread collapse, even after having his budget increased by 78% during his tenure by Congress. In the past six budget cycles, Shinseki has received $235 billion in extra funding over the FY2008 baseline for the VA budget. Where did the money go? What has Shinseki been doing for the past five-plus years? He writes this essay as if he’d just landed on the job, not as if he’d been in charge all along. Call Shinseki’s stunt the ‘Obama Gambit’ in honor of the man who’s pretended that he’s never been president. This administration has been in charge for almost 6 years. They’re still acting like they’re going through the transition from the Bush administration. The cabinet posts have been filled for 5+ years but nobody’s done a thing. Hillary didn’t get urgent cables from the ambassador serving in a dangerous part of the world. President Obama didn’t know about the IRS scandal until he read about it in the newspaper. Apparently, Gen. Shinseki didn’t know about this VA crisis until the Phoenix whistleblower stepped to the microphone. It’s like a baseball manager filling out a lineup card, then not sending the players onto the field. This administration won’t make decisions. They’re more pontificators than administrators. The VA crisis is the predictable outcome from an administration that specializes in talking, not doing. You can tell that the GOP and DFL state conventions start tomorrow. Yesterday, within a span of 3 hours, I got emails from the Hillstrom campaign on the DFL side and the Severson campaign and the Howe campaign on the GOP side. The Mariani email announced that “the DFL African American Caucus” announced “their endorsement of Debra Hilstrom for Minnesota Secretary of State.” I take this to be an announcement to help her win the DFL endorsement to be the DFL’s candidate for Secretary of State. It isn’t the type of announcement that will help Rep. Hillstrom win a general election. The Severson campaign’s email announcement was essentially a video presentation. Rep. Severson talked about his history in the military, including the fact that he led a team of F-18’s. In the last election cycle, I personally encountered Democrats violating the Minnesota Campaign Finance laws. Thirteen DFL Senate candidates were charged with violating campaign laws which prevents coordination between state parties and individual campaigns. The largest monetary violation of that law was by my opponent in Red Wing. Of the thirteen, eleven of them are now sitting Minnesota Senators that gave the DFL the majority in the Minnesota Senate, which in turn gave us the largest tax increase in the history of the State of Minnesota. All the DFL had to do was pay the board $100,000.00 as a settlement. As your Secretary of State, I will fight for legislation for special elections and/or criminal charges to prevent parties and candidates from illegal activities. You shouldn’t be able to cheat and keep your seat. 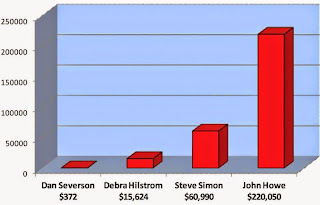 Rep. Hillstrom won’t fight to prevent that type of corruption. She’s a Democrat first. Being Minnesota’s chief election officer is incidental. Sen. Howe’s solution is the right solution to this type of corruption. People who knowingly cheat, which is what the DFL did, shouldn’t be able to profit from their illegal activities. If you’d told Alida Messinger that DFL control of the Senate would require illegal coordination between the candidate and the DFL plus a $100,000 fine, she likely would’ve written that check that minute. It isn’t that I think fundraising is the be-all, end-all. 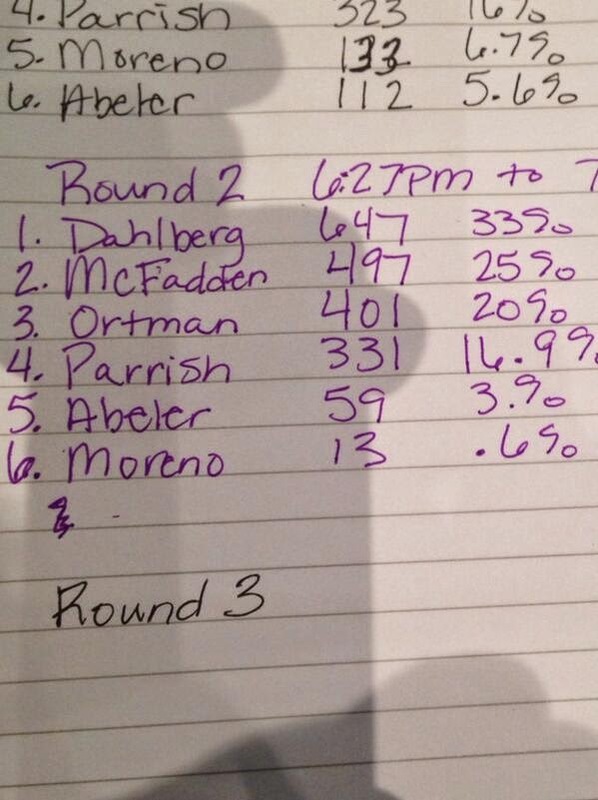 It’s that I know you can’t run a competitive statewide race on a shoestring budget. The point is that the DFL won’t hesitate in throwing the kitchen sink at the Republican candidate. That requires the Republican candidate have the fundraising ability to get his message out. At this point, there’s only one candidate that fits that description. His name is John Howe. This week, I’ve spent a ton of time focusing on the DFL’s hostility towards the Iron Range’s problems. The truth is that a prominent part of the DFL is interested in preventing another mining project from starting. That’s what’s really behind the PEIS that Northeastern Minnesotans for Wilderness, aka NEMW, asked the US Forest Service to put together. Then, late Thursday a Freedom of Information Act request by Twin Metals-Minnesota was granted. Upon request, they shared those documents with us. If anyone would like a copy, just send us an email. In the documents provided by the Bureau of Land Management was a letter asking for the PEIS. The agency requesting the PEIS? Northeastern Minnesotans for Wilderness. And who is the vice-chair of NEMW? Becky Rom. I’ve written extensively about which DFL politicians have tried tiptoeing that tightrope. Every DFL politician elected to statewide office has tried tiptoeing the tightrope. One day, they’re artificially supporting the miners. The next day (or next event), they’re enthusiastically, albeit quietly, supporting environmental activists like Becky Rom and Alida Messinger. Rom doesn’t want another mining project to start. Enough, though, of the DFL’s negativity. If I just wanted to write about the DFL’s hostility towards mining, I’d need a staff of writers and tons more bandwidth. There’s a simple solution to the miners’ crisis. And yes, it’s a crisis. The solution is voting for Republicans. They’re staunchly pro-mining. Better yet, they don’t answer to dishonest environmental activists like Becky Rom and dishonest environmental philanthropists like Alida Messinger. If elected to statewide offices, Republicans will fight for the PolyMet and Twin Metals-Minnesota mining projects. It’s that simple. It’s that uncomplicated because Republicans don’t rely on campaign contributions from environmental activists like Becky Rom. If the RPM wanted to run a clever campaign against the DFL, they could start a ‘What have they done for the Range lately’ campaign. Even when the DFL-filled Executive Council approves mining exploration leases, it’s torture for them. It’s like they’d rather have a root canal without anesthesia than voting to approve mining exploration leases. It’s been 9 years since the PolyMet permitting process started. In that time, PolyMet has spent more than $150,000,000 in their attempt to comply with Minnesota’s stringent environmental regulations. They’ve shown that they’re solid corporate citizens. If Iron Range communities like Chisholm, Eveleth, Hibbing and Virginia vote for the candidates who will fight for these mining projects, it’ll be a tough night for the DFL, from State Rep. David Dill to State Auditor Rebecca Otto to the DFL’s Secretary of State candidate to Congressman Rick Nolan to Gov. Mark Dayton and Sen. Al Franken. DFL congressional candidate Rick Nolan proposed on Wednesday, July 18, development of a new federal technical institute on mining and the environment to help the industry overcome production and environmental issues to create more jobs, an idea immediately panned by his opponents as expensive and ineffective. Nolan said the institute would help push applied research that would help mining companies overcome technical problems such as how to extract more mineral from the same rock, but also to overcome environmental issues like reducing waste rock and making sure mine runoff doesn’t damage local waterways. That brings us to this Nolan, which I’ll call Nolan 3.0. Apparently, Rick Nolan will say anything that’ll get him through a difficult political moment. I can’t imagine why people on the Iron Range would trust him to represent him. He hasn’t shown that he’ll consistently represent their interests. In fact, his constituents can’t know what he’ll do on anything. That’s because he isn’t unprincipled. He’s the epitome of a political panderer. Thanks to Ms. Rom’s lying, she’s brought attention to the Democrats’, especially Nolan’s, attempts to walk the political tightrope that is the divide between miners and environmental activists. As the saying goes, a house (or, in this case, a political party) divided against itself can’t stand. Rick Nolan fits that description perfectly. [Tennessee] now uses an outcomes based formula which accounts for 70% of higher education funding. Outcomes based funding drives postsecondary programs that produce graduates that are employable for the workforce. 70% of Tennessee’s community college students graduate. 80% of community college graduates get jobs. THEC convened a Formula Review Committee to discuss and debate the new formula design. The Committee included representatives from higher education and state government. Meetings each month in spring and summer 2010. Throughout the process, THEC consulted outside experts. In short, they employed the right process in arriving at a policy that apparently is working. Ohio and Tennessee should be applauded for their insistence on accountability and productivity. It tells me that they’re using the taxpayers’ money wisely. The current model creates competition among colleges and universities for continuing education and customized training opportunities. This internal competition hinders our ability to meet the growing competition from private training providers, for-profit higher education, corporate training departments and industry associations. A system that’s built on the premise of collaboration instead of competition is missing the point. What if the plan that’s put into place doesn’t work? Then all of the schools suffer a setback, which costs money and time. That’s exactly the wrong method. Instead, MnSCU should establish a set of goals for their universities, community colleges and tech colleges to meet, then let those campuses establish a plan to meet those goals. By establishing that process, each university, tech and community college is judged based on their results. Each school is responsible for achieving excellence. That implements the principles of competition, productivity and accountability into the system. That’s the only method that will work in the 21st Century. Franken hasn’t yet called for Shinseki’s resignation, but he is among those pressing for more information. “It’s outrageous and disgraceful if there has been a cover up of that, and a secret list. I think we need to get to the bottom of this, and people need to be held accountable,” Franken told KARE. Similarly, Klobuchar wants to know more about what actually happened before passing judgment on Shinseki. “I’m a prosecutor. I like to see the evidence. And as much as we love the news, we can’t base everything on news reports. We actually have to look at the facts on the ground,” she explained. Ms. Prosecutor, here’s some evidence to consider. The VA has the authority to send veterans to private hospitals if VA hospitals can’t treat patients quickly enough. Under Gen. Shinseki’s administration, that wasn’t done. That’s proof he didn’t use the options available to him. That’s reason enough to terminate Gen. Shinseki. As for Sen. Klobuchar’s statement that “we can’t base everything on news reports”, I’d tell her to pass that word along to President Obama and Jay Carney. Apparently, President Obama hasn’t gotten briefed by the Treasury Secretary about the IRS scanda. Apparently, he didn’t get briefed by Hillary Clinton about the Benghazi cover-up. Now, he apparently didn’t get briefed by Gen. Shinseki about the VA crisis. After all, Jay Carney said that President Obama learned about those things through the news. Sen. Franken, if you don’t know what happened, how can you say that what happened is “outrageous and disgraceful”? Also, Sen. Franken, you say “if this happened” as though we don’t have proof. Dr. Foote is a whistleblower who came forward and told Congress that they’re cooking the books. Since then, more people have stepped forward with their stories. How much more eyewitness testimony is required before we admit that these are verified facts? The truth is that Sen. Franken is trying to play this both ways. He’s expressing outrage while pretending that the allegations might not check out. Sen. Franken knows that the allegations have checked out. More than a dozen whistleblowers have stepped forward attesting to the VA’s practices. It’s time for Sen. Franken and Sen. Klobuchar to admit that the federal government is terrible at providing health care. It’s time to change directions. It’s time to privatize the VA system.